If one were to visit the Freetown in Sierra Leone then they most likely would hear, proudly, what Manchester City F.C. is all about. They would hear about a football club that changed the lives of many that are living in dire conditions. It all began with Armani Kamara. Armani was selling his wares on the beaches of Freetown. While doing this, he happened to meet a British national who was an avid Manchester City fan. 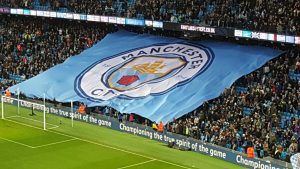 Armani came up with the idea of starting a support club within Freetown for the Manchester City UK. Football club. This decision led to the building of a youth team and a senior team. Both the teams quickly got involved in playing with local leagues. To assist this support group, the Manchester based league donated their season kits from the years 2003-2004. This was a big boost to the morale of the support team and they showed this by winning the first local cup competition. Their passion and diligence didn’t end there because within a four-year span, this support club went on to enjoy their first national honor in 2008 in a mere four years of their game play. They were proud of being the winner of the Sierra Leone FA Youth Cup. While the young generation was full of zest for their game play, the senior division of the support club on the surface may have appeared a little more laid back and had a tendency of not attending the games that were scheduled away from home. As a result of this, they were eventually suspended. This was not from lack of enthusiasm, but was due to the high expense of having to travel to games that could not be reached by foot. This was most unfortunate because they had managed to enter the national league as a result of their hard work and skills, but this problem was later solved when they received a donation in the form of a Toyota Coaster mini bus.